Unicorn this, holographic that— this year is putting out all sorts of Lisa Frank vibes with the beauty trends that are hot right now. Case in point: the rainbow highlighter. 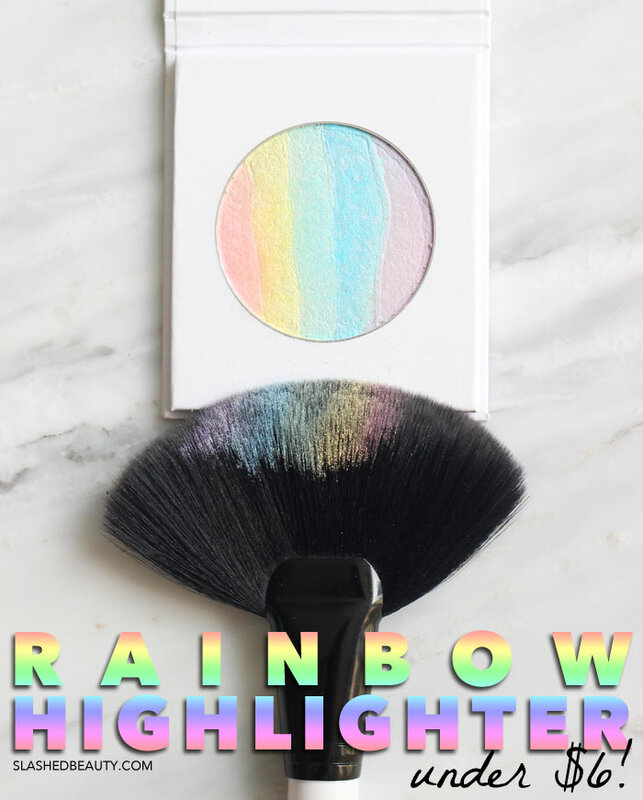 First showing up on Etsy, it didn’t take long for the rainbow highlighter trend to hit mainstream brands. The only problem: the rainbow highlighters from the drugstore been incredibly hard to find, since they’re flying off the shelves. Luckily, I got wind about one store that still had their own version on shelves. 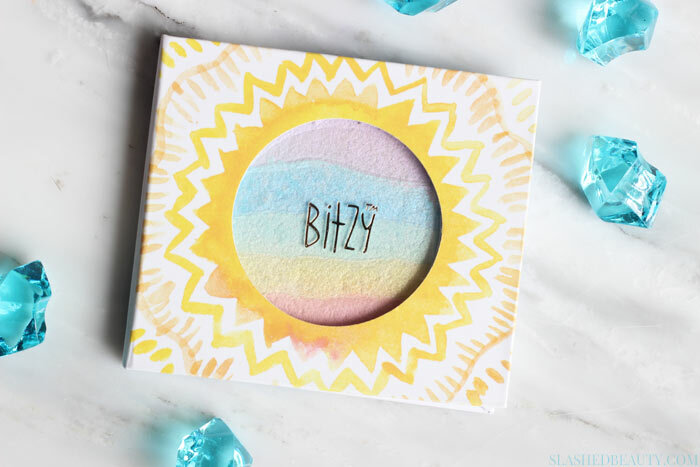 Bitzy is one of Sally Beauty’s store brands aimed at a younger, millennial crowd (formerly the Sally Girl collection). 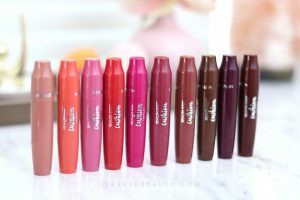 Their products are incredibly affordable, including their rainbow highlighter which is only $5.75. 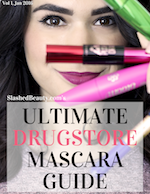 While it’s currently sold out online, you can still find it in Sally Beauty stores. My Bitzy section is near the cash register. 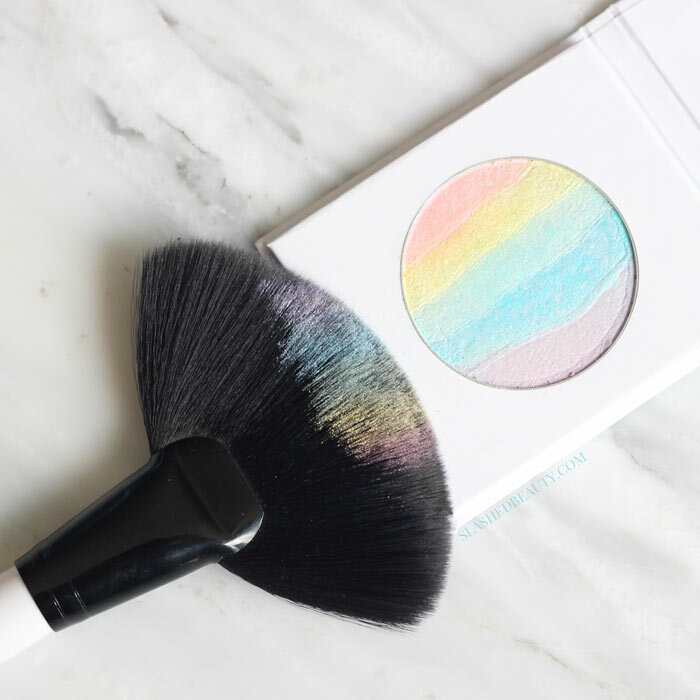 Compared to other rainbow highlighters, the Bitzy highlighter uses lighter, pastel tones to create its prism. I think this makes it more wearable while still channeling your inner unicorn. One of the reasons I hadn’t really liked the rainbow highlight trend when it first launched is because the greens and blues were so pigmented in the compacts, the end result looked like war paint to me. Since this highlighter is lighter in tone, I feel like it works better with every day makeup for a subtle flash of something special. While they’re lighter, the powder is still very pigmented. When swiping across the compact with a brush, you can very clearly see each color defined. On the skin, the rainbow colors stays pretty well outlined if you apply in a straight line. The texture of the highlighter is powdery, so it will accentuate any skin texture differences. However, when applied lightly, you can get it to blend out nicely without looking chalky. I typically apply with a large fan brush that can pick up all of the colors, then apply it at an angle onto the top of my cheekbone. As you can see, on the skin the rainbow effect is much more subtle but still visible. I can clearly see the green and blue tones, though they seem like a natural part of the look rather than face paint. The Bitzy rainbow highlighter blends out really nicely so you’re not left with stripes on the face if you don’t want them. When I apply at a diagonal angle, the colors are blurred slightly into each other for a holographic appearance when the light hits your cheek. If you’re not looking closely, it could just seem like a really nice dramatic highlight, but the color appears at just the right moment for a complimentary pop. 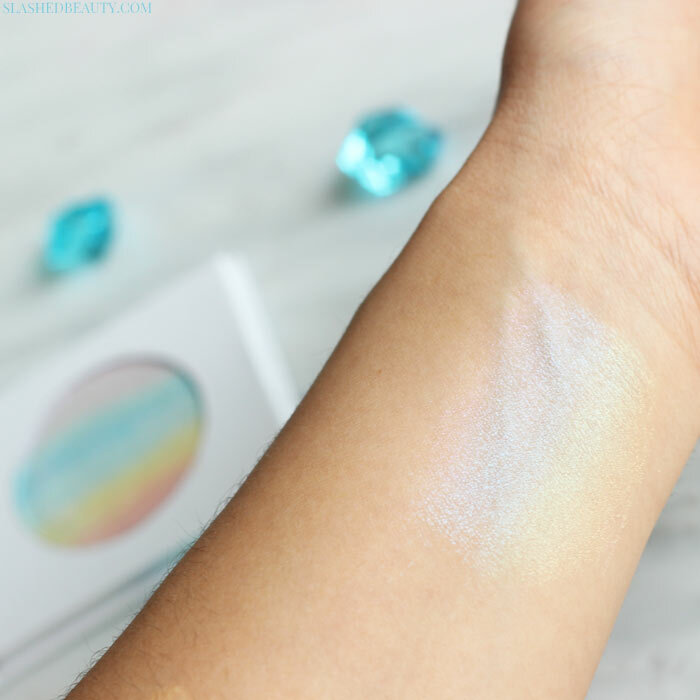 You can find the Bitzy rainbow highlighter at Sally Beauty for $5.75… I’m still waiting for it to pop back up on the website, but they had a stack of them at my local store in Los Angeles. Venture in and see what you find! 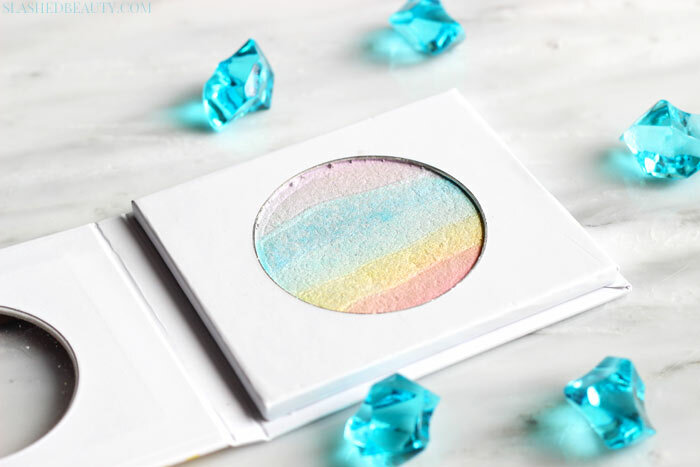 It’s a great affordable rainbow highlighter if you just want to see if the trend works for you. 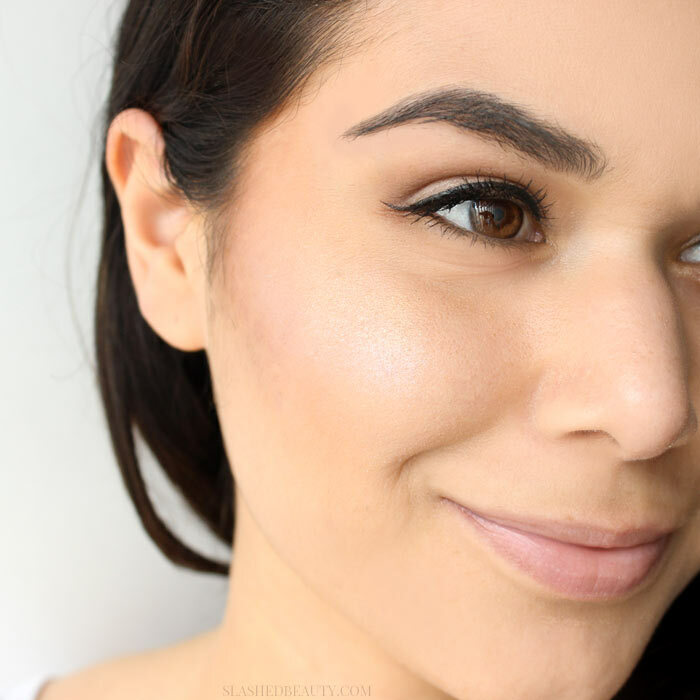 Have you tried the rainbow highlighter trend?